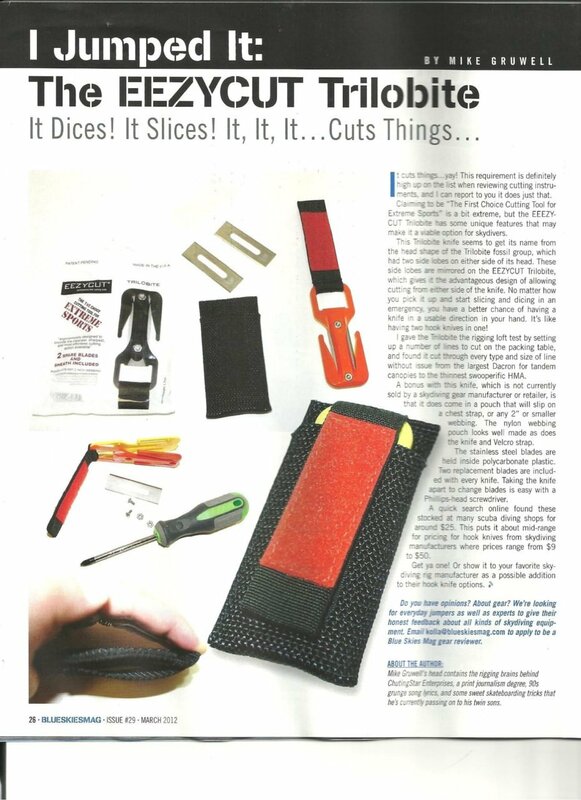 Blue Skies Magazine, the independent voice of air sports, found our TRILOBITE emergency cutting tool to be easy to use and able to handle cutting through a variety of rigging. No matter how you pick it up and start slicing and dicing in an emergency, you have a better chance of having a knife in a usable direction in your hand. It’s like having two hook knives in one!